Eversource’s bid to upset SJW’s $750 mln deal with CWS is a close call on financial grounds. The interloper feels unfairly shut out, though, because SJW’s CEO ran the target until last year. And Eversource’s last big merger was messy. Watchdogs have to navigate choppy currents. Water runs through the filtration system of Macao Water plant in Macau March 20, 2008, a company which belongs to Sino French Water Development, a joint venture between Hong Kong's NWS Holding Limited and France's Suez. 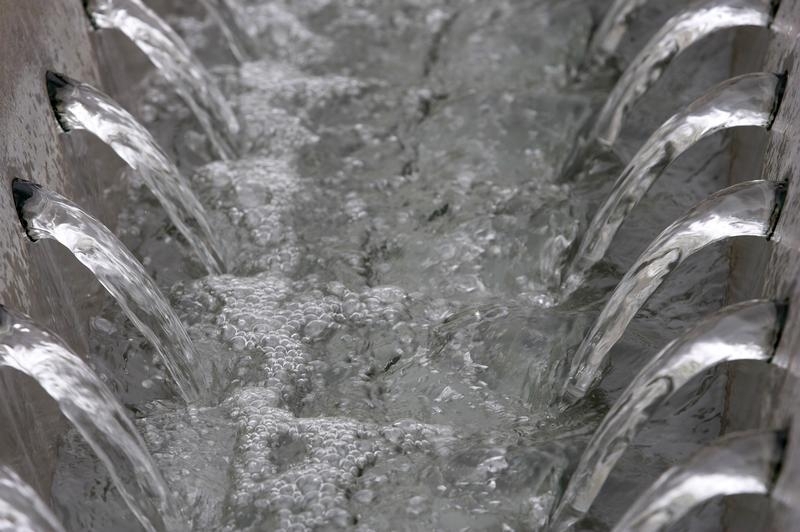 New England utility Eversource Energy on April 19 said it made a proposal on April 5 to buy Connecticut Water Service for $63.50 a share, with investors able to decide whether to take cash or stock. CWS on April 19 said its board “unanimously concluded that it is not a superior proposal” to the company’s agreed March 15 all-stock deal to be bought by SJW Group for what at the time was $61.81 a share. At SJW’s share price of $57.12 at 1445 EDT on April 24, its offer is worth $65.12 a share. Eversource was created from the 2012 merger of Northeast Utilities and NSTAR. Last year the company bought Connecticut’s Aquarion Water.